Every country has its ‘icon’ wines; wines that are the standard-bearers for a whole nation, renowned throughout the world, collected, cellared and treasured. There’s no doubt that Columella, a Syrah and Mourvèdre-based blend from Swartland in the Western Cape, is one of South Africa’s true wine icons. 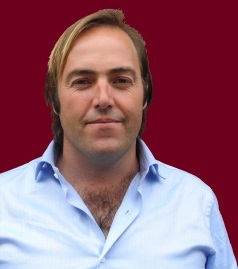 Winemaker Eben Sadie helped put the Swartland area on the map before it become the hugely fashionable wine region that it is today, making wines there for Charles Back’s pioneering ‘Spice Route’ label in the 1990s. After striking out on his own in 1999 he quickly established a huge reputation, especially for his two flagship wines, the white wine Palladius, and Columella. Columella stays very close to the Rhône origins that inspired it, sometimes also containing small proportions of Grenache, Carignan and Cinsault in the blend. There’s a complex range of soils in the vineyards that comprise Columella, possibly the most important soil types being granite and slate. Each is a distinctive soil type, giving herby, spicy characters and bright, pepper and red fruit characters respectively. Swartland is also a region blessed with many old, unirrigated vineyards planted with bush vines. That was one of the reasons the region appealed to Sadie so much in the first place, and why it continues to attract winemakers who set up shop there, and fans who so ardently follow the wines. Today the Sadie Family cellar boasts an array of concrete ‘eggs’ and small tanks for fermentation, as well as large oak foudres and small barrels. In fact the maturation of Columella has changed over the years, originally the wines spent 24-months in small French oak barrels, only a small proportion of which were new, but in 2009 – the middle of the 10-vintage vertical tasting below – that changed, with the wine being transferred after one year to large foudres, to complete its elevage. This tasting took place during Cape Wine 2015, when Eben poured 10 straight vintages of Columella. These spanned a variety of vintage conditions, from near perfect, to wetter than average, to hotter than average. Although there were definite variations in both quality and style, this was without doubt a demonstration of the quality of this terroir and fruit, and what a sensitive, natural (with a small ‘n’) winemaker Eben Sadie is. (2016) Gorgeous cherry and briar stuff, so fragrant and aromatically delicate, yet there's a reserve of power too. Deep briar scents and onto the palate tight and cherry edged herbs, so much juicy tension and tight tannins, a wine that might still need time but fills the finish with spicy fruit and acidity. (2016) Love the extra ounce of ripeness and lusciousness on the nose over the 2004. Still herbal and with delicious kick of acids and pepper and earthy spice, but more glossy fruit. The palate has intense concentration. A really grippy, but arguably finer wine, with that smoother texture and sweetness so appealing. (2016) Into a much more cedary spectrum here, gorgeous truffle and undergrowth nuances,in a mature, beautifully open style. So much spice and a berry fruitiness and an autumnal character. Great blood streaked, iron-oxide thrust of juicy fruit, terrific acidity and a taut framework of tannins that powers this through to such a long finish. Hard to say where this is in its evolution, but for me, a Columella in a great place. (2016) Peppery and earthy, with lovely little blood and game touches, in a solid but alluring style. Good rounded berry and black cassis fruits. So much depth of fruit and flavour and delicious lip-smacking acidity. Great tannins here - spicy and smooth but grip like a vice. (2016) A light herbal fragrant note to this, seems lighter and a little less substantial than some of the previous vintages. Certainly spicy and cedary, and has fruit but an elegance because of that lighter body, and it is delightful to drink now. (2016) A Collumella in a more up font, fruit-forward and glossy, rounded style, but that herb and briar, earth and spice note is there, hints of truffle and undergrowth. The palate has a really firm stripe of liquorice tannin and taut acidity with so much juiciness and precision, but this one needs time for the structure to soften just a touch. (2016) A very sophisticated, fruity and spicy character, with a graphite sense of purity but the robust berries beneath. The palate has a great juiciness and length, everything harmonious though linear and tastes very young. Potential to score more. (2016) A composed and relatively discreet nose that's earthy and cool, but there's so clearly a flood of fruit waiting beneath, silky juicy and dark. The palate has a hugely sweet mid-palate flooded with that cherry plum and blackcurrant juiciness. The spices and fruit purity and the fruit tannins drive the finish. (2016) Gorgeous fragrance here, the cedar and gentle floral notes, the violet and lift of kirsch, some coffee and chocolate, but it's one of those where the fruit drives the palate, loaded with dry, smooth tannins and acidity, but such a plush picture of natural concentration and balance. (2016) Cool and dramatically tight, with taut black fruits and spices, this was a pre-release sample so my score is provisional, but it has the same melange of fine components as many of the best vintages here and that promises great things. My score is a cautious one given this is a sample, but might well go higher.